Saw this ‘free’ app “for this weekend only” and thought you might have a need for it. The effect defiantly is for some photos, not an enhancement you will use on all of your photos. Strong contrast photos work the best, people’s faces are a natural. Of course, I ran around the house taking pictures of everything to see what Fotoffiti will work with and what it won’t. 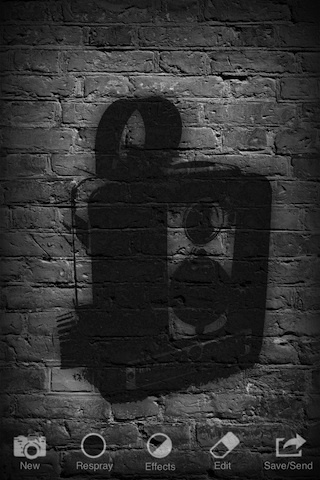 A image of an old film camera, taken in portrait was nice. Taking the image in landscape wasn’t as good since the app doesn’t allow for cropping and squished the photo into a narrow area. The only other ‘negative’ I found in playing was the final result is only 640 × 870. After you choose your image, Fotoffiti gives you choices of what color you want to apply. 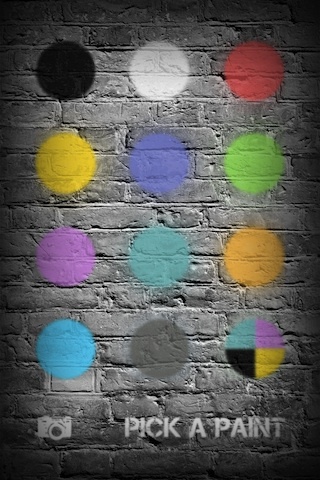 Application can be done to the whole image with a shake of the iPhone. Or, if you want to highlight different areas of the photo with different colors, use your finger to paint with. Some fine tuning is available within Fotoffiti. Under ‘effects’ you can adjust Contrast, Shadow and the ‘age’ of the photo (fades the image out as graffiti does after a time in the weather.). ‘Edit’ is where you will find the painting option which is like a graffiti brush more than highlighting the image which is done earlier in the process (‘pick a paint’). 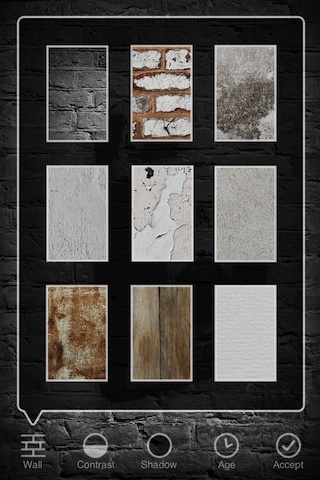 There are a few ‘wall’ options within Fotoffiti to choose from too. 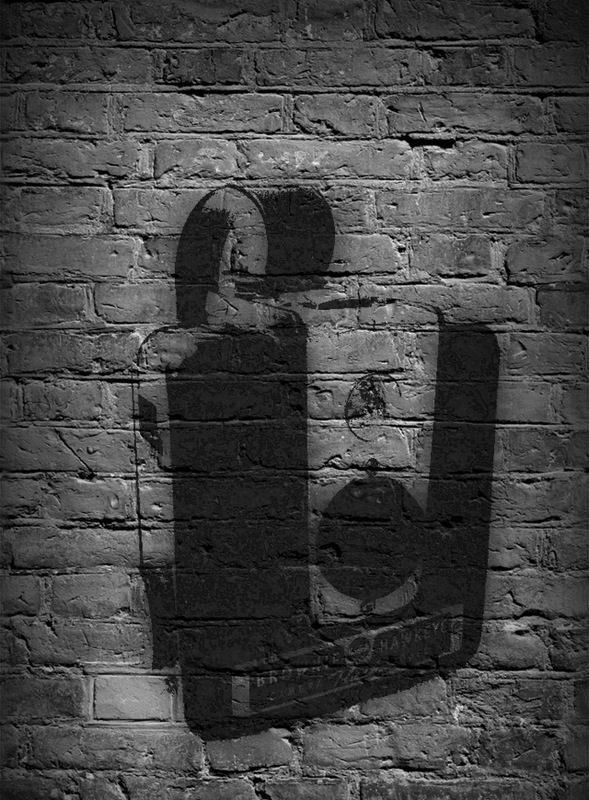 Since not everyone does ‘fine art’ on a brick wall. When your done, the image can be attached to a email, printed, uploaded to Facebook/Twitter, or saved to the iPhone photo library.